Hello to everyone coming in from metafilter. For the record, I don’t consider myself to be an iconoclast. I am fairly certain that my ideas are 1) very ordinary and 2) shared by most people who work in international development. I’m just the person who’s willing to take the time to blog about it. And while I know I am critical, I do believe that international development can – and does – work. If I didn’t believe that, I wouldn’t be working in this field. I am working a lot right now, so I don’t update that often. I have been blogging for a long time, though, so the archives run deep. (If you do go into the archives, you’ll notice I occasionally contradict myself. That’s because I’m still learning.) The best way to keep up with this blog is the RSS feed. 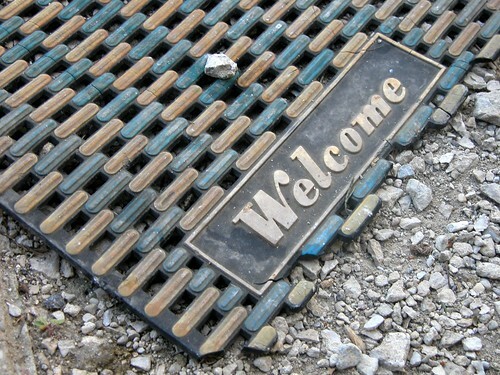 Share the post "Welcome metafilter visitors"
Thanks for laying out the mat for us all. Much appreciated! (and I’ve forwarded on to development chums too).